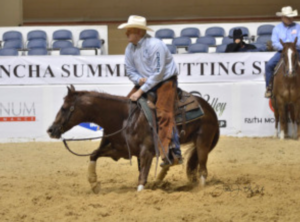 The NCHA Summer Cutting Spectacular Classic Open Finals will feature six High Brow Cat sons and daughters, the highest number of any sire in the field. High Brow Cat dominates the finals with 23 percent of the total qualifiers. The next highest sire comes in at a distance 15 percent with four qualifiers. High Brow Cat had more than half of his Semi Finals qualifiers make it to the Finals which will be held July 17.